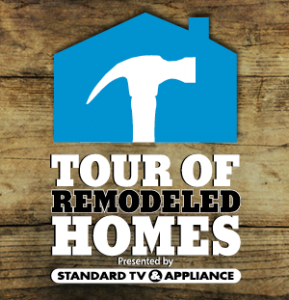 The 20th annual Tour of Remodeled Homes presented by Standard TV & Appliance, runs Saturday, May 4, and Sunday, May 5. Scattered throughout the Portland Metro area, the eight large- scale remodels showcase the latest trends in home remodeling from the area’s top remodelers and professional designers to provide inspiration to show visitors. The annual event is produced by the Professional Remodelers Organization, a council of Portland’s Home Builders Association. Participating remodelers for this year’s show are COOPER Design Builders (two homes), Creekstone Design + Remodel, Cascade Renovation, Kamanski Construction, Rupp Family Builders, Brian Schmidt Builder and Metke Remodeling & Luxury Homes . Each remodeler will be on-hand to provide expert advice and inspiration to event attendees. Descriptions of each of the projects with before and after photos can be found here.